Why bother with a VM? Creates the virtual machine environment for us to install Windows + Battle.net + Diablo in. Link is to a version of VMware Workstation called Player. It’s Free to use for non-commercial use but limited to run only one virtual machine. To run more than one, you will need the full version of Workstation. 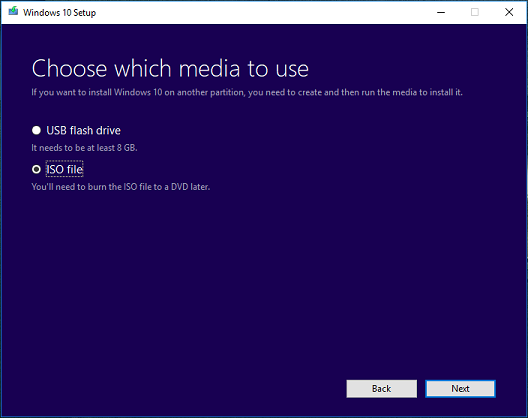 A tool for getting you the latest Windows OS install media, for installation onto your VM. Run it and grab yourself an 64-bit .iso of Windows 10. Windows 10 is free and you don’t have to activate it with a key for it to be fully working. Save the .iso file somewhere where you can easily find it, and later after using it to install Windows into the virtual environment you may delete it. Install VMware Workstation if you haven’t already. Run it. Browse for the .iso file you downloaded earlier with the help of Microsoft's Media Creation Tool. Name it whatever you want and place it on a SSD if possible. Minimum 50GB, but 60 GB recommended to be sure. Store as a single file. Give it 4 GB of RAM. Change to Bridged network for optimal latency. Do not Replicate physical network connection state. Enable 3D acceleration. Minimum 1 GB Graphics memory is recommended. With the changes it should look like this. Before starting it up and installing Windows, let’s go through some additional settings. Add your D3 folder as a Mapped network drive, so that you easily can copy it from your Host to your VM. Start up your VM, and when asked to, press any key to start the installation. If it's not reacting when you "press any key", try CTRL+G first, to make sure key presses are sent to the VM. instead of the Windows installation, select Virtual CDROM and press Enter, to start with the mounted Windows ISO file. Select the option “I don’t have a product key”. Windows 10 only limits some cosmetic options in a non-activated version. Make sure you create an Offline account, not a Microsoft Account. and mandatory to have 3D acceleration and network sharing working. 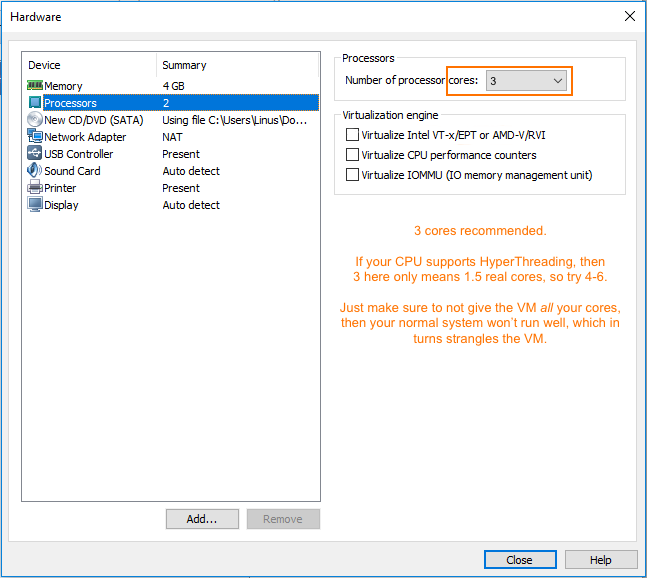 Follow the VMware Tools install instructions. After the necessary reboot from installing VMware Tools, you should now see a Mapped Network Drive available under “This PC”. Copy the game folder to C:\ drive in VM. Run it once, and point it to where Diablo 3 is residing. Should be C:\Diablo III if you followed this guide. Close Battle.net launcher completely after this. Firewall and Anti-Virus; Disable them both. 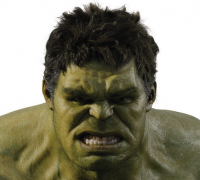 Desktop Resolution; Change down to 1024x768 or 800x600. Right click anywhere on desktop and select Display Properties. Last but not least, RoS-Bot. Install from RoS-Bot.com as per usual. Follow the Getting Started guide if you need any help. After RoS-Bot is downloaded and extracted, and you have started it once to let it perform its first-run configuration steps, it should start up D3 for you. When in-game, go to Options -> Video. If you selected 1024x768 in Windows, change to Windowed mode here. Drag window borders to resize the window to smallest possible. If you selected 800x600 in Windows, change to Windowed (Fullscreen) here. You may also want to go into Audio settings and completely turn off all sounds. It will be available to edit after you've installed RoS-Bot and it having started up D3 at least once. Just make sure you've closed down D3 before editing it. Open the file with notepad and change to these values for maximum minecraft style graphics and to tax your system the least. After editing it and exiting notepad, make the file Read-Only by right-clicking it and go into Properties. But if in need of help, check the Common Errors guide or the trusty Getting Started guide. If you still need help and have specific questions, check the support channels on our Discord. Hi after follow the step to create the virtual machine, but it seems like not able to find the iso bootup to install window 10. Use the media creation tool to create an ISO. 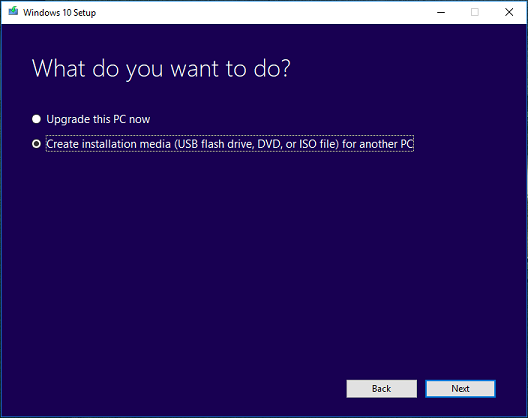 So instead of clicking upgrade this PC, click the other option that lets you create a installation file and instead of USB chose the ISO option. Good guide, covering everything that's needed. Great job. 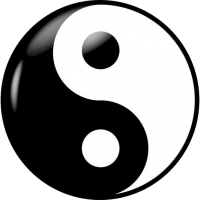 Is there a way to make the bot on virtual machine and the bot in te real pc, playing togheter at the same time? Like in bounties or GRs? i cant map diablo 3 in shared folders any reason why? anyway to cause less ram usage? Does the native D3 launcher do this as well? Or just the process that ros-bot opens? That is not a supported feature. You may be able to make it work by manually having the bots join a party and then start the bots. This may work for bounties as the bots should automatically decline boss requests and will continue on. However, I do not see it "accepting" the GR request, though I have not tried it. 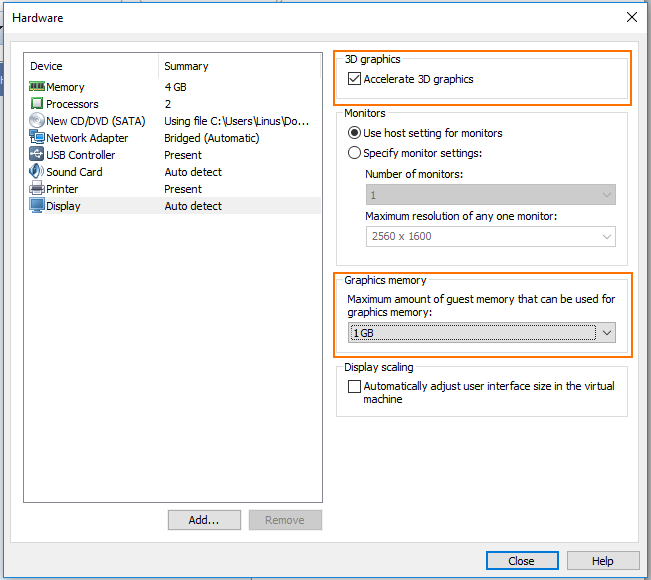 Can you post a screenshot of your VM settings > Options > Shared Folders? If you're referring to the ram usage of the VM, you can allocate less ram to it. This is posted in the guide above. I found a serial key online from a legit ebay seller for $4.99 if anyone wants the user name let me know. Thanks für this how to. Only the step with shared folders dosn't work. Can I use the computer while VM is running the bot? Good tutorial. Could this be used with Oracle VirtualBox instead? This one is free and you can use multiple VM without problems actually. I will try myself first to see. It's tough out there, join our Discord. Bring Cookies! no, vbox does not support the gfx passthrough. I am using vmware to run 2 bots, nor problems at all.